Zacks Advantage combines the benefits of a robo advisor – low fees and advanced technology – with the outstanding client support and active investment oversight of a leading wealth management firm. Think of us as the robo advisor for the savvy investor. We create a customized portfolio just for you. 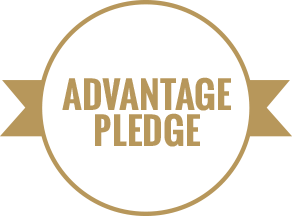 And we’re so confident you’ll be satisfied with your advisory service, we offer our "Advantage Pledge" – we’ll refund 100% of your management fees. No questions asked. Ready to build your custom portfolio? We use low cost ETFs and active management. Each of Zacks Advantage risk delineated portfolios are adjusted on a monthly basis in accordance with Zacks Investment Management's proprietary 10 year forecast and the Zacks Investment Management team’s market risk analysis. As part of the Zacks Advantage active management service, portfolio allocations between equity, fixed income and commodities are adjusted in step with monthly forward looking risk projections. Put a world-class investment team in your corner. Since 1978, the Zacks Investment Research team has given investors a trading advantage through its Zack Rank stock-rating system. Today, Zacks Investment Management is a leading wealth management firm with over $3 billion under active management. Seasoned investment managers are behind every choice we make. Zacks Investment Management has a history of delivering performance and has been named Manager of the Decade by PSN. Five of Zacks Investment Management's strategies are in the top 10% in annual returns nationally and the Focus Growth Strategy is in the top 1% (among 1,203 other fund managers). Zacks Investment Management applies their disciplined investment management approach to Zacks Advantage driving portfolio performance in a low cost, tax efficient automated investment advisory service. * According to a 2015 Cerulli Gobal Analytics study which reported the average 2014 annual explicit client fee for sub-advisory separate accounts. Zacks Advantage takes the the concept of an on-line advisory service to another level. In our informative Savvy Investor Guide, you’ll learn all about our performance-oriented investment approach, and how we differ from other on-line investing services. "The platform uses, Schwab technology but relies on Zacks' investment research to target HNW investors"
Seasoned investors with a high-net-worth will have plenty to like about Zacks Advantage, but even small investors will like the easy-to-use advisory platform of the newest entrant in the world of automated online investing. 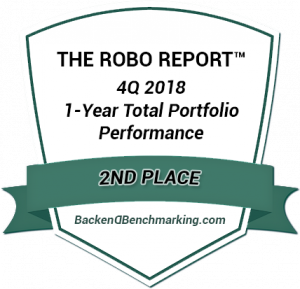 "With its experienced management team, unique forecasting approach, adaptive asset allocation and proprietary ETF ranking system, its robo can bridge the gap between completely passive and totally active investment management."